Australia has blown a land bubble of immense size. This troubling reality has finally come to the attention of the Senate and obliged it to examine the matter. 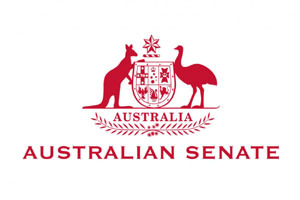 Prosper Australia’s submission to the Senate Housing Affordability inquiry examines nine key economic measures of housing affordability and finds all at or near historic highs. Rather than housing providing comfort and security, it has become an arena for speculation, funded by towering borrowings. We have diverted our energies from nation-building to trading second-hand houses. This frenzy has out-priced and excluded first home buyers, unless they submit to a life-time of debt. Australia’s economic fabric is genuinely at risk. Recommendation 1: Reform Land Value Tax. The ideal tool to moderate land bubbles and properly fund infrastructure already exists in the hands of state and territory governments: state land tax (SLT). Unfortunately, this tax has been so riddled with exemptions and concessional treatments it must be considered dormant. The states show no interest in, for instance, removing conveyancing stamp duty or payroll tax – both inefficient taxes – and funding this by also removing exemptions from SLT. They fear the political consequences, despite land tax being the most efficient and highly equitable tax. We suggest the current government introduce a nationwide one per cent federal land tax (FLT) – fully rebatable on SLT paid – to oblige the states and territories to use their taxing powers properly. State governments could adjust their tax rules and keep every dollar the FLT raises, to the benefit of all Australians. The Commonwealth Parliament would be entitled to argue this intervention is for sound economic reasons and dissipate the political fallout. Placing state and territory finances on sound bases would vastly improve the federal system mandated by Australia’s Constitution. Transitional arrangements would need to be considered. Rebating all stamp duty paid against a hypothetical past SLT obligation would address concerns of fairness and equity. Recommendation 2: Macroprudential Regulation. A range of macro-prudential tools are needed to moderate housing price inflation and subdue credit growth in a pro-cyclical financial system, such as those affecting the loan to value, (LVR), debt servicing (DSR) and debt servicing to income (DSTI) ratios. Quantitative restrictions should be placed on the share of new mortgages with moderately high LVRs (60 to 79 per cent), and significantly strengthened for mortgages with an LVR of 80 to 89 per cent. Mortgages with an LVR of 90 per cent and above, interest-only loans and those backed by parental guarantee should be disallowed. Mortgage debt should be capped at a multiple of ten times the imputed or actual annual rental income of the property being purchased to prevent a positive feedback loop forming between rising housing prices and debt. To reduce systemic risk, a large rise in capital and liquidity ratios (buffers) is required to ensure banks can withstand a future economic downturn, bank run or large fall in the value of collateral. Research suggests the probability of a banking crisis can be reduced to a 1 in 100 year event by raising core equity (Tier 1) capital ratios to 11 per cent in isolation or raising core equity to 10 per cent with an addition rise in liquid assets of 12.5 per cent (the rise in liquid assets over total assets). For the Big Four banks, this would represent a rise of around 3 per cent in core equity. Liquidity and capital buffers should rise in a counter-cyclical fashion during the expansionary phase of the credit cycle, thus taming the size and duration of a debt-financed asset boom. A transition towards higher backing for deposits would enhance financial stability, reduce inflation, minimise public and private debt, restrict over-lending and promote economic growth. The macroprudential toolbox should empower regulators to compel additional capital requirements in investment sectors prone to irrational exuberance; typically residential and commercial land and the stock market. Inaction by the federal government will condemn us to the fate endured by so many of the countries we compare ourselves to, with shrunken asset bases and insistent liabilities. We call on the Abbott government to put aside the petty game of pursuing sectional advantage and consider reforms that will deliver genuine prosperity. I seriously doubt any government will take the necessary reforms required to make Australia a truly prosperous nation for all. Why would they when they know people will still vote them into office. Its the voter who has to reform himself first and then the government. I’ve just read the Prosper submission and I am bearish on Australian property now, which ducks because about a third of my wealth is in Australian investment properties, and a good amount is also in Australian shares, which I’m sure will also tank if property goes down. I will not sell the property as I don’t want to pay any transaction costs. I’m happy to wear any capital loss. I will simply diversify into bond funds and high dividend paying foreign shares. These pay good income but are safe from the risk of the Australian bubble.